James Benmore was born in Kent and currently lives in South-East London. 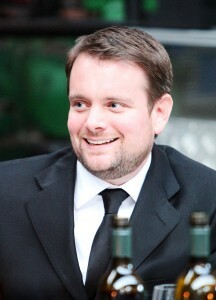 He studied literature at the Open University and has since completed an Mst in Creative Writing from Oxford University. A prolific short story writer, his short fiction has been published in various anthologies, including All These Little Worlds published by The Fiction Desk and The Failed Novelist’s Anthology 2011. These have received positive reviews from magazines such as Cherwell’s. Dodger is his first novel. 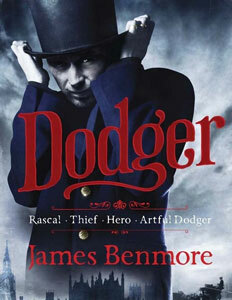 After five years in an Australian penal colony, the Artful Dodger returns to London in search of a hidden fortune. Unaware of the fate that befell Twist, Fagin and Sikes, Dodger revisits the criminal underworld of Dickensian London to seek out his old comrades, any of whom might possess the key to the treasure. This is one of those books that should not need too much advertising or blurb, at least it should not for anyone who loves reading. We are after all talking about a sequel to one of the all time great stories “Oliver Twist”, a story from the great Charles Dickens. A debut writer taking on something like this might be considered, arrogant, audacious, possibly even career suicide. But the fact that Heron are publishing it, means that there is something there. So first impressions; The cover art, personally I think its fantastic, it’s what drew me to the book immediately (well that and im a sucker for a debut novel) Then the concept, the return of the artful dodger, the return of a boy transported to the colonies (australia) for stealing. (maybe we need a new place to transport the thugs and thief’s of today? ), how has he returned? is he reformed? The Dodger is back and he has an agenda. Given a pardon by a disreputable peer of the realm and a mission to fulfil with his ever-present watcher the aboriginal Warrigal. We get to find out the fate of many of the characters in Oliver twist and also meet up with the members of Fagin’s gang who are still living the life of the thief, while our rascal The Dodger looks for the Jakkapoor Stone, a Jewel of value, and ominous history. Like in life sometimes its best not to go back, not all reunions are sweet, and some are dangerous. Old friendships are reforged, some are forver consigned to history and in the case of Ruby some friendships turn to love for our young Dodger. So can Benmore write? I’m happy to say yes he can, but if you are looking for the deep dark dank of Victorian London then you wont find it here, because even though Benmore doesn’t hide the filth and poverty of London, its seen through the eyes of the Artful Dodger, and ole artful loves his London, so even filth has a pink rosy tint to it. After reading the book the first thought that struck me was that this would make an excellent saturday evening TV series. Something to replace a show like Merlin or Dr Who. A great fun wholesome family TV show. I’m not sure if that is the intent of the author, but hidden in amongst the tale of an almost irredeemable thief are morals, and friendships and honour. There is plenty of depth and emotion, something for everyone. I don’t think there is even an age or gender group for this book, from Young Adult to grandparent, there is something in this story for all to love. I really recommend this book to you all. and I look forward to what ever James Benmore writes next.